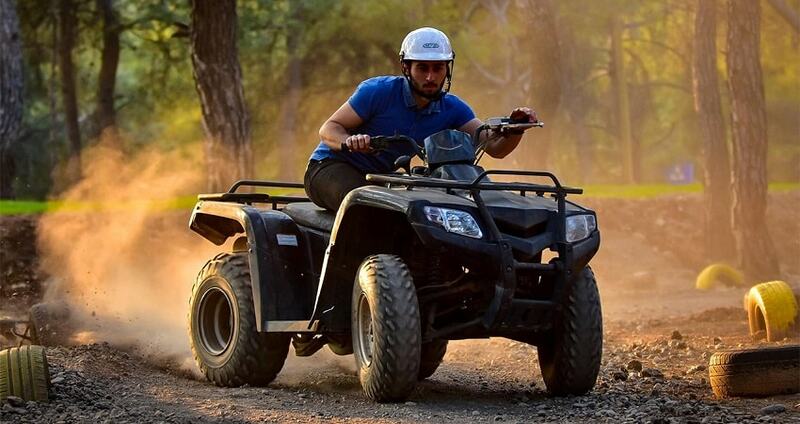 Upgrade your vacation experiences by adding an adventurous and fascinating Antalya Quad Safari. This full-day excursion promises to offer you fun, excitement and adventure all-in-one! Get to know the surroundings of Antalya and discover the natural beauties of Taurus Mountains. There’s nothing better than experiencing nature with an overdose of adrenaline during holidays! 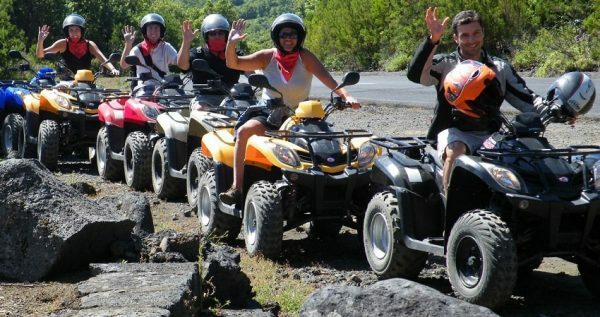 Antalya Quad Safari Tour begins once you are picked up from your hotel. 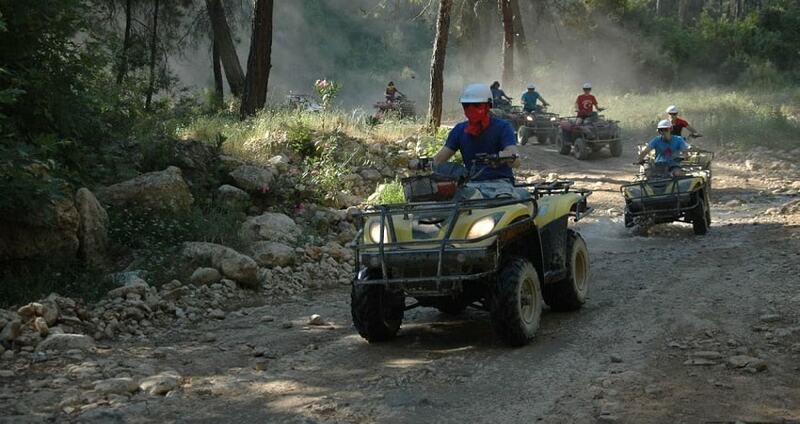 Our team will drive you towards the starting point of Quad Biking, which is not far away. It is located in a distance around 30 minutes from the city. There, you will participate in a briefing given by the instructors. If this is your first Quad Biking experience or in case you do not possess a driving license, there is absolutely no reason to worry about. The professional instructors will provide a detailed tutorial about safety equipment and procedures, as well as important driving tips. In total, you will be able to enjoy more than 1hour and 30 minutes on the Quad Biking machine. During your route you will have the opportunity to observe the amazing scenery that the skirts of Taurus Mountains form. The dusty trails are passing through moving mud, a pine forest and valleys. During your adventurous ride, there will be some breaks in between. Breaks will be an awesome chance for you to take beautiful photos. Depending on the route, you might be able to swim as well. In is important to mention that routes are changing every time. Once you reach the ending point of the route, another small break will take place to get some rest. 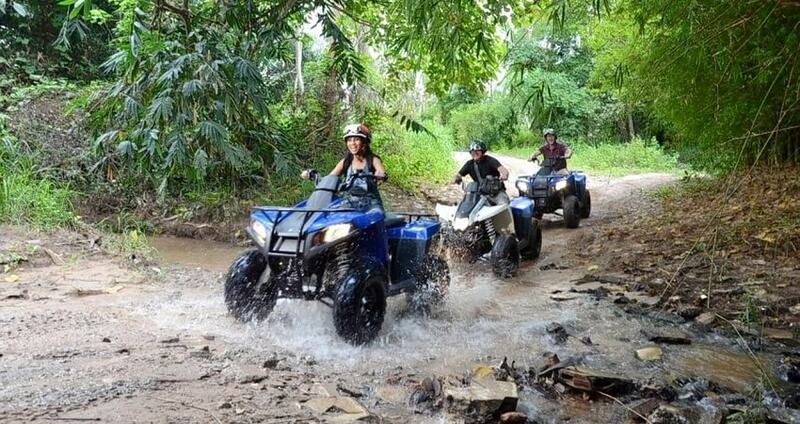 Then, Quad Biking continues back to where you stared. This 24Km route will have a positive impact on you for sure! While riding your quad bike, you will be able to experience and observe the Turkish countryside, which is completely different than what you experienced in the seaside. 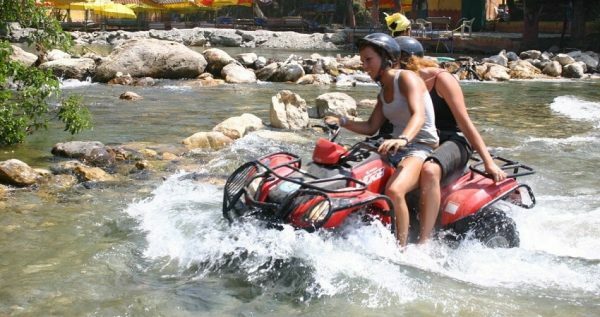 Get filled with emotions, impressions, pictures and boost yourself with adrenaline by Antalya Quad Safari Tour. For sure your bike will be wet and dusty by the end of the route, so make sure that you are wearing comfortable clothes and shoes. Once your return route reaches its ending point, you will have the opportunity to view and purchase at an extra cost official photos and videos of your adventurous outdoor activity. These photos will serve as amazing souvenirs of your experience. Then, our team members will transfer you back to your hotel. Your children or guests are welcome to hop on the back seat of your quad. 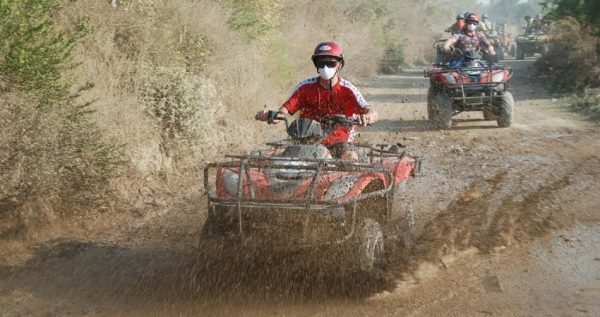 Antalya Quad Safari is not suitable for guests with physical difficulties. If you are up to another adventurous day, Antalya Jeep Safari is a great option. Get ready to experience the most fascinating outdoor activity in Turkey! Antalya Quad Safari is ideal for those who seek an adventurous day in the skirts of Taurus Mountains. Participate in this excursion and get filled with unique emotions that will make your holidays in Antalya unforgettable! Antalya Quad Safari excursion starts by the time you are picked up from your hotel. 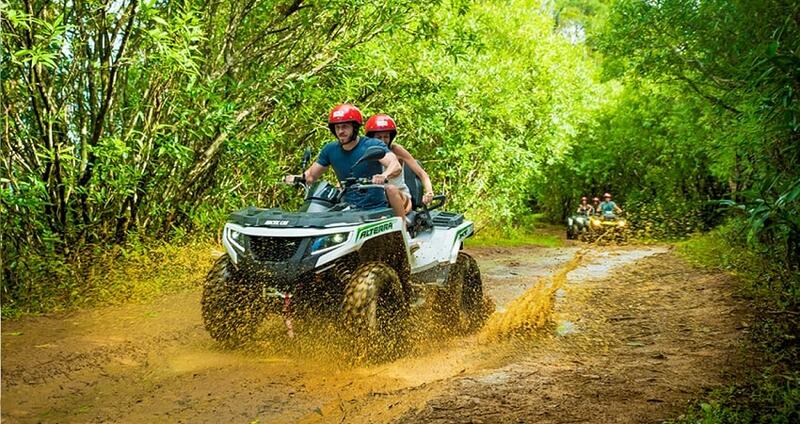 Our team members will drive you at the point where Quad Biking station is. The location is not far away from the city of Antalya. In fact, it is located at a distance of 35Km which is about 30 minutes. When you reach Quad Biking safari station, instructors will provide all necessary information for the route that your will be following. 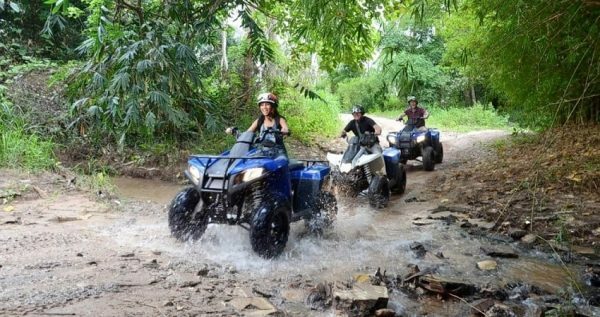 If you don’t have any prior experience with Quad Biking or in case you do not possess a driving license, there is no reason to worry about. Our professional instructors will provide a detailed tutorial about safety equipment and procedures, as well as important driving tips. After the briefing, a test drive will take place just to make sure that you are confident in driving the Quad Bike. Our Quad ATV motors consist of four drawers and capacity for two passengers. 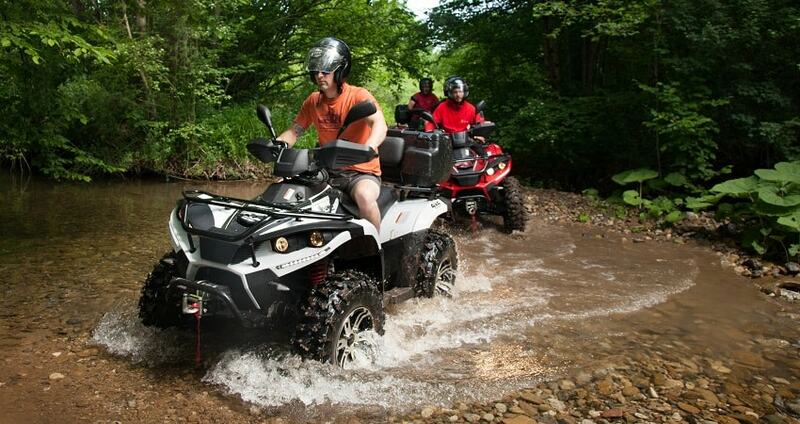 All Quad Bike machines are completely safe by having all the necessary safety requirements. In addition, they are easy to drive. In total, you will experience more than 1hour and 30 minutes on the Quad Biking motor. During this unforgettable ride you will have the chance to observe the natural beauty of countryside and of course the amazing scenery that the skirts of Taurus Mountains form. You will be passing through some really dusty trails, while natural obstacles like moving mud and trees will be around. During your fun and exciting ride, there will be some breaks. These breaks will be an awesome chance for you to take pictures. Depending on the route, you might be able to swim as well, so don’t forget to bring your swim suit. Once you reach the ending point of the route, another small break will take place to get some rest. Then, Quad Biking continues back to where you stared. Once you reach the ending point, you will have the opportunity to purchase at an extra cost the official photos and videos of your adventurous activity. These photos will serve as amazing souvenirs of your experience. Then, Antalya Quad Safari ends when our team members will transfer you back to your hotel.